So, I’m back again with yet another cheesy, kinda “baduy” reading in this post. This time around, the book is all about a love story which started with A Kiss in the Rain or AKTR as most Wattpad borne novels normally abbreviate their titles to conveniently transform them into hash tags for social media. The story was written by J.C. Quin. But like She’s Dating the Gangster, AKTR featured a tragic ending where Jared, the hero died in Jade, his love’s arms. But how their romance unfolded from the beginning till the end is definitely heartwarming, most especially the epilogue where Jade actually did not love any other man throughout her life and simply waited to be reunited with the love of her life in paradise. The pacing was quite slow at the beginning (like my reading time because I didn’t get to read this book in one sitting like I normally would), allotting an entire chapter for a day in the life of the characters, particularly Jared, through whom the point of view was written from. But it did picked up pace as the novel progresses. You would wonder why it was Jade who scribbled the narration at the latter part. Finding out that it’s because Jared will die is truly heartbreaking. I even wished that a sequel was written or to be written since there’s none, something similar to Three Words, Eight Letters where the hero suddenly reappears in a surprising twist. I left a note for the author; hopefully, others will join the chorus and chant the same request for a continuation of AKTR. This is one of the bestsellers in National Book Store during a recent month and I now understand why. 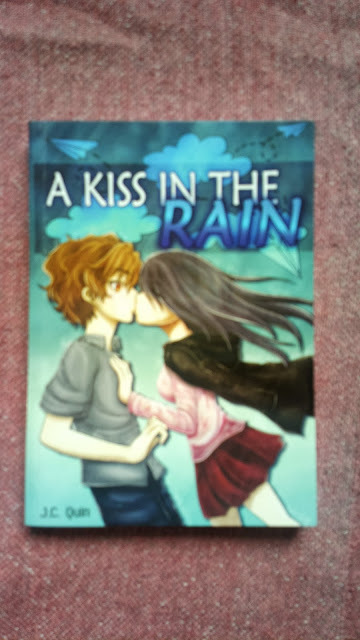 It’s one of the best Filipino teen romances I’ve read so far despite the sad ending.